My doorbell was ringing very early the other morning. I sprang from bed to find a citizen at the door. He found a Great-horned Owl on the side of the road and didn't know what else to do so he put it in his trunk and raced to REGI. Since I live on the property I am often jarred awake by ringing phones or doorbells for an emergency that occurs WAY out of normal hours. That was the situation with this Great-horned Owl. The owl was unconscious when found and remained so for most of the day but has made a remarkable recovery thus far. 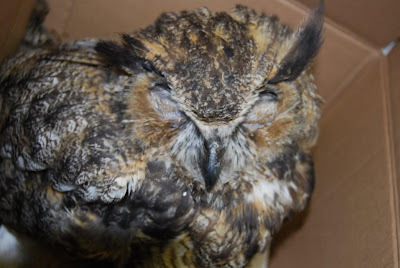 Often owls with head injuries such as this owl has have vision problems even after recovery. This owl however has good pupil reaction in both eyes. He is also regaining his stamina quickly. 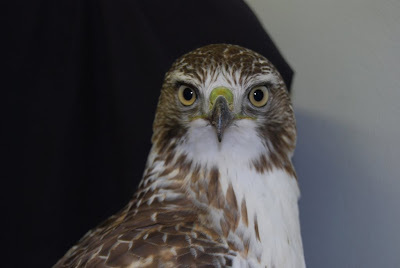 A few hours later a beautiful Red-tailed Hawk was admitted from the Mosinee, WI area. As you can tell from his photo, this red-tailed hawk is intelligent and displays amazing curiosity about "us". The photo was taken minutes after he arrived at REGI. You notice there is no fear in this lovely face. 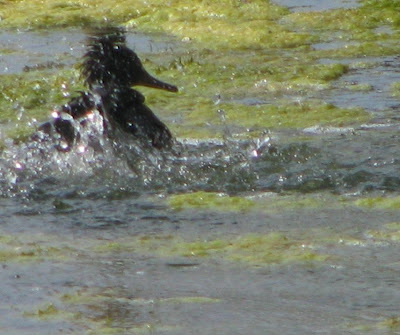 His feather coloration, size and behavior tell us he is most likely from the far north. Where he was hatched there are more animals than people. While he knows all about four legged and winged predators he has no idea what people are all about. Not being aware of, or afraid of people can be a real problem for many northern species including Rough-legged Hawks and Snowy Owls. In their curiosity about us they are often injured or get too close to those that might cause them harm. 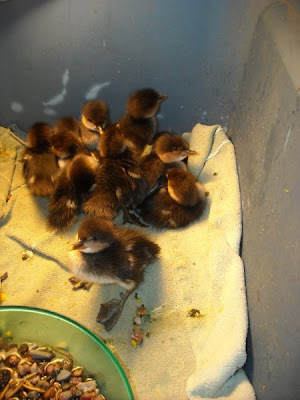 Our former ducklings are all grown now and were released. It was great to see them go off on their own after all these months of care. 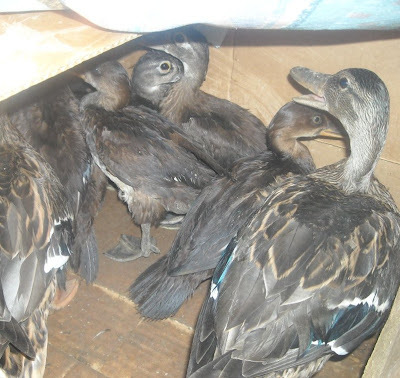 They have spent the past 6 weeks in a pond/lagoon area away from humans with their foster parents. We were the last people they wanted to be with and that is exactly the way we wanted it to be before they are released. Rearing wild animals that have a hunting season on them makes contact with humans a dangerous thing. After their initial baby stage we limit contact quickly so they do not have a disadvantage once released. 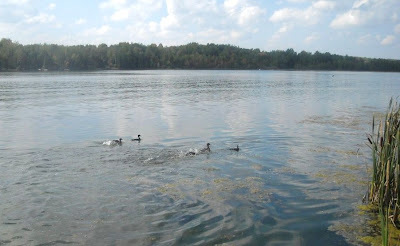 Enjoy the photos of the Mergansers, Wood Ducks and Mallards as they were released. They took off flying so fast, getting any photos was a challenge, but here are some so you can share our joy of seeing them finally in the wild.